Upcoming events, assemblies and holidays at Ignatius Park College. Letter from the Principal, Latest News, Advice and Information for Parents. 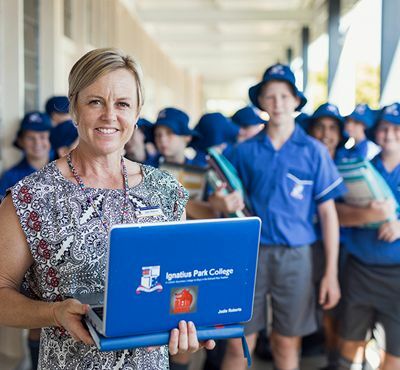 Click here for information about enrolling at Ignatius Park College. Ignatius Park College is proudly dedicated to boys: their spiritual, academic, social and physical growth as they approach maturity. As Townsville's only boys' school, we are uniquely placed to cater for their specific needs. The College's challenging academic programmes revolve around a recognition that boys think and learn differently from girls. Our routines and curriculum are therefore carefully structured to allow maximum personal growth within an environment tailored specifically to cater for boys' academic, physical and emotional development. Inclusive Community, Liberating Education, Justice and Solidarity and Gospel Spirituality.